Finding out your dog has hip dysplasia raises many questions. Will your dog be sentenced to a lifetime of pain? What are the treatment options? We run through what you need to know. 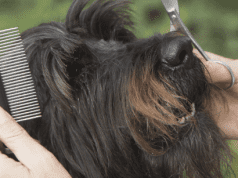 Firstly, there are many options to ensure your dog has a comfortable, happy and pain-free life. Hip dysplasia is treatable and your dog can still expect a good quality of life. The treatment you undertake may depend on your budget and individual situation, so we will attempt to answer some common questions here. Hip Dysplasia is known as multifactorial. This means there is not just one gene that causes it and there are other factors that influence whether your dog goes onto develop ‘bad’ hips. Ultimately, there is a loose fit between the head of the femur and the ball and socket joint of the hip. 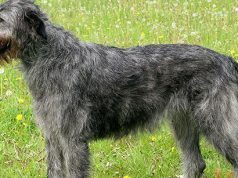 Dogs are not born with hip dysplasia and, although there has been selective breeding to try and reduce the incidence, it can’t be entirely bred out. Certain breeds may be more susceptible, but environment, growth rate, nutrition, hormones, activity level and muscle mass play a part. Overall 19.7% of purebred and 17.9% of cross-breed dogs had signs of hip dysplasia in one study. Certain breeds have a 50% prevalence of hip dysplasia, particularly larger and stockier breeds. Breeds such as Labradors have historically had high rates of hip dysplasia, but selectively breeding dogs that have good hip scores radiographically has reduced the incidence of the disease. While we generally associate larger breeds with hip dysplasia, it does crop up in small breeds such as Cavalier King Charles Spaniels with an estimated prevalence of 12.4-25% . 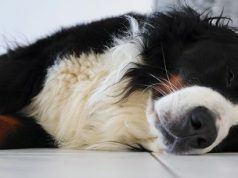 Larger breed dogs should be examined during their puppy health checks and while under general anaesthesia for desexing. A dog with early hip dysplasia may be less playful, swing their hips when walking, have difficulty climbing stairs, or bunny-hop with their back legs, scuff their back toes when walking or exhibit discomfort when sitting, rising or being touched around the rump. If your dog is in a breed group at risk of hip dysplasia your vet might recommend radiographs even though your pet is not showing any signs. In some cases the laxity or loose fit of the hip joint can be picked up during a physical exam while your dog is conscious, but this is not always reliable. The muscles around the hips often resist manipulation, making hip dysplasia difficult to detect in the early stages without a general anaesthetic. If you have any reason to suspect your dog might have hip problems, early detection is key. Although reputable breeders have been selectively breeding out dogs with bad hips, it cannot be completely eradicated. The standardised screening PennHIP method can be performed from 16 weeks of age, then should be repeated at 2 years of age for confirmation. The standardised hip score obtained from a PennHIP qualified vet allows a dog’s hips to be graded and ranked so as to determine which dogs have ‘good’ versus ‘bad’ hips. This is necessary for breeding dogs, but is not necessary to make a diagnosis of hip dysplasia. If you have an at risk dog, it is incredibly important to ensure your dog does not grow too rapidly. Overfeeding can lead to a number of other developmental bone problems such as osteochondrosis, elbow dysplasia and hypertrophic osteodystrophy, not just hip dysplasia. 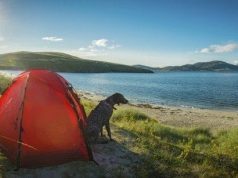 A study in Labradors showed a significant decrease in the onset and severity of dogs with hip dysplasia when fed 25% less food than a control group. As a general guide you should always be able to feel your pet’s ribs and spine and your dog should be tucked in at the waist. If you are at all unsure about how much to feed your growing dog, chat to your vet. If your dog already has hip dysplasia, keeping your pet as lean as possible will significantly improve pain and mobility, more than any drug or surgery. Another important management practice for dogs prone to hip dysplasia is avoiding overexercising your growing puppy. 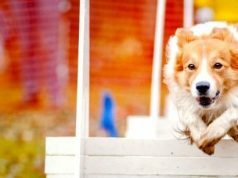 This does not mean turning your dog into a couch potato, but just avoid vigorous agility-style exercise and those 10km runs until your dog is fully grown. Lots of short walks are better than one big vigorous run on the weekend. If your dog is already showing signs of discomfort from hip dysplasia, keep those walks shorter than the point where your dog starts slowing down. If your dog is sore the next day after a walk, keep it shorter next time. Chat to your vet about exercise and the pain relief options to keep your pet mobile. Another significant risk factor for developing hip dysplasia is over-supplementing with vitamin D and calcium. Unfortunately this has been recommended in the past often by well-meaning breeders for large breed dogs. PubMedCentral has a great article on the role of supplements in the pathogenesis of hip dysplasia. Veterinarians have often marvelled at the individual variations when it comes to hip dysplasia. Some dogs seem to be incredibly painful, with hips that don’t look that terrible radiographically. 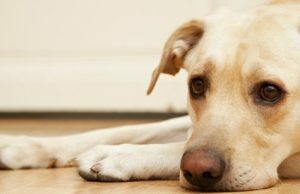 Some dogs develop problems at a very young age, while others only develop pain in their senior years. Bone is not a static structure, it is constantly remodelling in response to weight bearing, which is why a limb that has a cast on it ends up shrunken through disuse. Your dog’s individual anatomy, pain threshold, weight and activity levels will pay a significant part in the progression of the disease. If your dog has hip dysplasia, regular visits to your vet will help you tailor a treatment plan to your dog and budget. 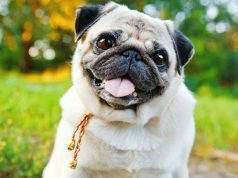 Not all dogs need surgery and there are several methods that can be performed depending on budget and the age of your dog. 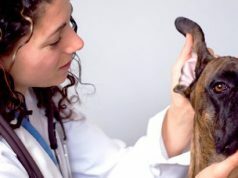 Not all general practice vets perform the advanced procedures, so you can ask your vet for a referral to a specialist orthopaedic surgeon to discuss the options and advantages of the various surgical techniques. 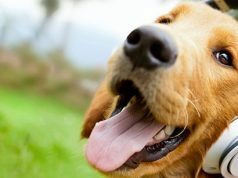 If your dog is young, two procedures are available. The juvenile pubic symphodesis can be done at 16-20 weeks, while the triple pelvic osteotomy can be done at 8-18 months. These are both done before there are signs of osteoarthritis. A total hip replacement is costly but suitable for dogs that already have significant hip damage and can only be done in fully grown dogs. A femoral head and neck ostectomy is a procedure that can be done by any general practice veterinarian and is an excellent procedure that allows a false joint to form. 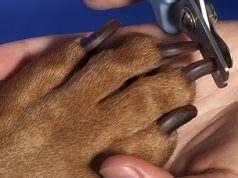 Dogs that have this procedure enjoy an excellent quality of life and it is relatively inexpensive to perform. For a longer discussion about the surgical options, visit here. While there are low-cost surgeries, the reality is that you are looking at at least $1000 for even the cheapest procedure. If surgery is not an option, medical management is often adequate. A combination of the following therapies is ideal. Fish oils – these have an anti-inflammatory effect. Glucosamine and chondroitin – these two ‘building blocks’ for healthy cartilage come in human or veterinary formulations such as Joint Guard, Glyde and PAW Osteosupport. There are some joint diets that contain supplements too, such as Hills J/D or Royal Canin Mobility. Pentosan or Cartrophen is given as a series of 4 injections at weekly intervals every 6 months to improve joints at risk of osteoarthritis. Non-steroidal anti-inflammatories (NSAIDs) or other types of pain relief prescribed by your vet can markedly improve your pet’s quality of life. Acupuncture and physiotherapy can also be useful to improve mobility and pain. The pain of hip dysplasia is not always in the joint. For example many pets go on to develop back pain secondary to their swinging gait, as this places stress on the lower back. If you’re interested in exploring acupuncture, ask your vet for a referral. Keep your pet a normal, lean and healthy weight. Short, frequent walks are ideal. Supplement with fish oils, glucosamine and chondroitin. Chat to your vet about surgical options that suit your budget. Cartrophen injections should be administered every 6 months (or as recommended by your Vet). Consider what pain relief your pet needs. Acupuncture or physiotherapy may be useful. Previous articleDoes Your Cat Need to Drink More Water? Why Does My Dog Fart Constantly? There can be several reasons for flatulence in dogs and most of these are not serious.